Last week marked the primary in a collection of evangelized “Sunday Services” hosted by a born-again Kanye West. Despite its suggestive tone, “Sunday Services,” as hosted by Kanye West, are just about, glorified jam periods, bongos and all. The musicians assembled for the weekly simulcast have prior expertise recording within the G.O.O.D. Music coven. But in week two issues went a little bit in another way, with Kanye West sitting out the first half of motion. When he lastly joined the musicians on stage mid-swing, it was to premiere a newly-revised model of “Ghost Town,” a demo of which already exists by his personal admission – on the 36-minute mark. 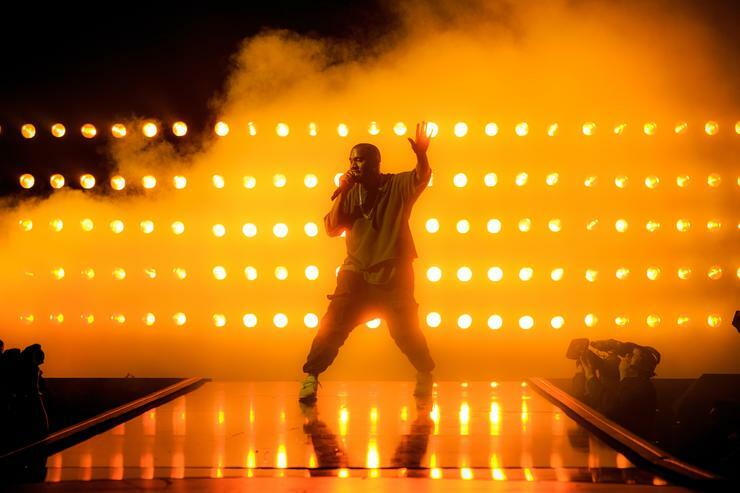 Then on the 26:30-mark of the video, Kanye West performs a beforehand unheard track referred to as “We’ll Find a Way,” with no vocal elements in any respect. Kanye merely bops to a pulsating beat because the track trudges alongside to a wonderful clef word. Later on, he sings a Gospel-version of Michael Jackson’s “Will You Be There,” following just a few alternative remarks concerning the forthcoming Leaving Neverland documentary. Check out the brand new Yandhi recording within the instrumental format it was introduced, get pleasure from!